What bases are found in DNA? Where is DNA located? What is formed by transcription in the nucleus? and What does the mRNA do after transcription? 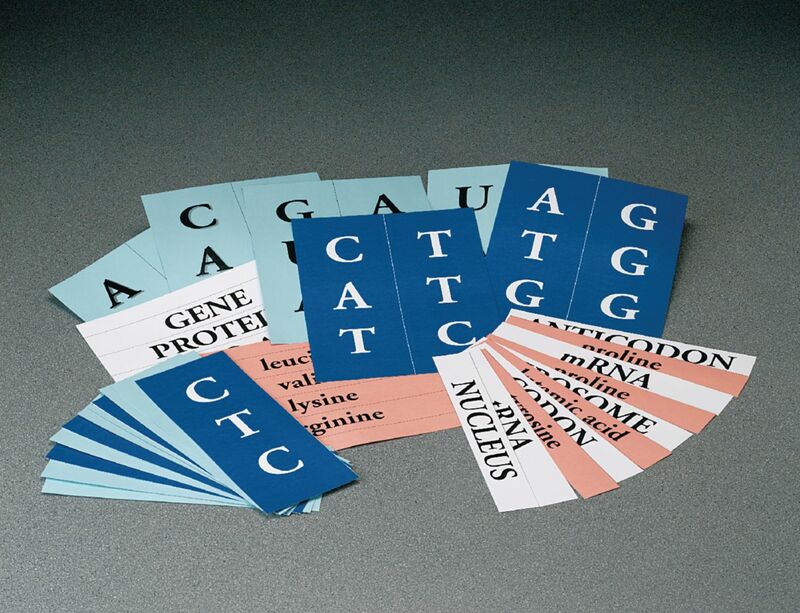 are just four of the many questions your students will be able to answer after taking part in this kinesthetic protein synthesis class activity. Each student is handed a piece of the DNA puzzle. Students play the key parts of protein synthesis. They interact with one another, working through the processes of transcription and translation, learning not just by doing, but by "being." Developed by Chuck Downing. Grades 7-10. Includes: instructions, demonstration video, and manipulative pieces. Please note: some assembly is required.